Start smiling without missing a beat in just a day! 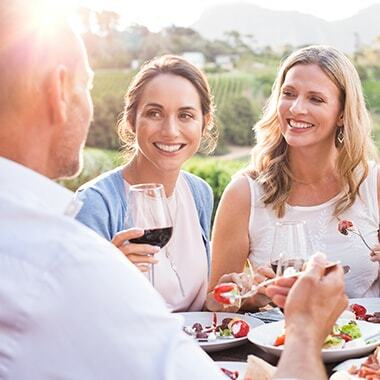 If you are missing teeth or are tired of poor-fitting dentures, All-On-4 Dental Implants are your solution to a secure, functional, and beautiful smile. 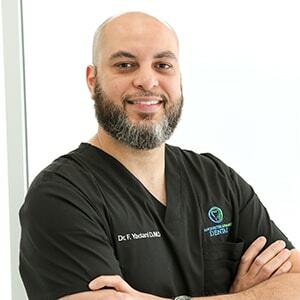 With Dr. Yadani’s fellowship with the prestigious American Academy of Implant Dentistry and the International Congress of Oral Implantolgists, you can trust your new smile will look amazing. Why Will You Love All-On-4 Dental Implants? We're confident you'll never stop smiling. All-On-Four can be completed in just one appointment. Walk in our office with missing teeth, leave with a beautiful new smile! All-On-4 implants look and feel like beautiful, natural teeth. No longer will you have to worry about gaps or unsightly teeth. All-On-4 implants are designed to endure the daily grind of biting and chewing. Their durable material makes them a viable solution to restore your smile's bite and function. 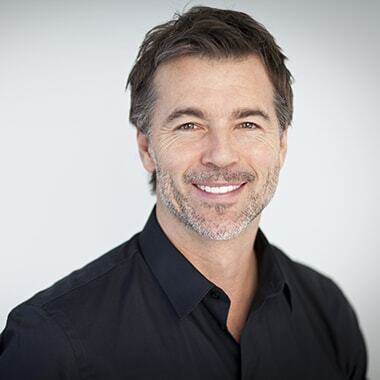 Find out if dental implants are the perfect solution for you by scheduling a complimentary implant consultation with our Manchester implant dentist. This includes a 3D scan of your smile where you and Dr. Yadani can visually see and pinpoint the best treatment for you. This office is phenomenal! 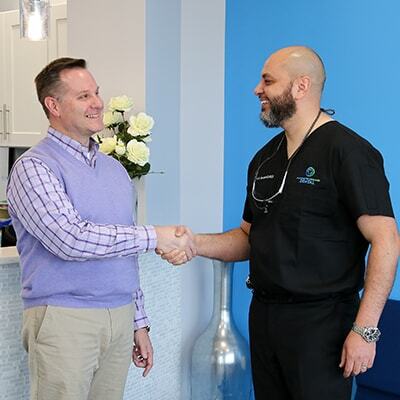 Dr. Yadani and his staff make you feel so comfortable. I emailed looking for an appointment because of tooth pain I’d had for a few days. I received a call back the same day and they were able to see me within a few days. Dr. Yadani is extremely knowledgeable. He explains everything before he does anything. What can I expect with All-On-Four dental implants? All-On-4 implants replace the upper or lower arches of your smile by placing four implants. Using the best 3D technologies, Dr. Yadani will place these four implants in either or upper or lower jaw. From there, he’ll place temporary restorations, so you can leave our office smiling. While you’re wearing your temporaries, our dental lab is crafting your permanent restorations. In a few short weeks, you’ll return to Manchester Advanced Dental and we’ll secure your permanent smile. What does an dental implant look like? 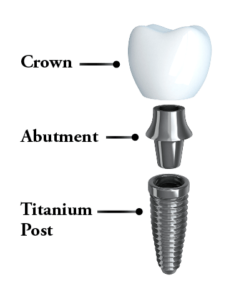 Dental Implants consist of three parts: the post, abutment, and crown. With sturdy and durable materials, our implants will securely fuse with your jawbone to mimic the function and beauty of natural teeth. Do I have to travel to get my dental implants placed? Traditionally, you would need to see a specialist to place your implants. With Dr. Yadani’s training in implantology, that is no longer the case! You can have All-on-4 dental implants without bouncing around from office to office, seeing the same, familiar faces from start to finish. Dental implants offer a better fit – While implants are securely placed within the jawbone, dentures are merely placed on top of your jawline. Without a tooth root, your jawbone begins to deteriorate, sinking in your facial features. In turn, your dentures and teeth lose its support, creating that sunken look. Dental implants are positioned correctly – With our 3D technology, we’re able to accurately place your implants within your jawbone – creating predictable and beautiful results. With a denture, it’s more difficult to position it correctly since it must sit over the bone. This creates the slipping and sliding effect. It's time you start smiling again!